Crimson Sailing Academy is an institution dedicated to enabling sailors of all levels to progress and enjoy the lifelong sport of sailing. 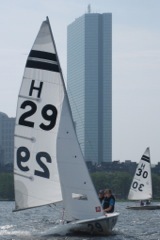 We have been teaching and coaching sailing since 2003. 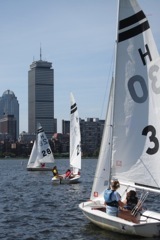 Our racing dinghy clinic and team racing clinic give scholastic racers the chance to raise their game to the next level. Through our summer camp, beginning and intermediate youth will be introduced to the sense of freedom and independence that comes from harnessing the energy of nature and controlling one's own vessel. 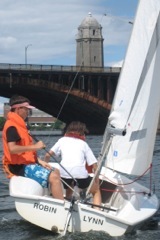 We are located on the Charles River between Cambridge and Boston, and the Longfellow and Harvard (Massachusetts Ave) Bridges.